For your safety, please ensure your MultiStroke Ergometer is regularly maintained. The following precautions should be observed prior to starting any exercise on your MultiStroke Ergometer. Serious injury can occur if the following precautions are not observed. 1. Always consult your physician prior to undertaking any exercise regimen. A medical exam is advised. 2. Keep head, limbs, fingers, and hair clear of all moving parts and flywheel cage. 4. Inspect machine prior to use. Do not use the machine if it appears damaged or inoperable. 5. Contact manufacturer if machine is broken or jammed. 6. Use machine only as intended. 7. Do not modify the machine. 8. Children must not be allowed near this machine. 9. Teenagers must be supervised in the use of this machine. 10. By using MultiStroke Ergometer the user accepts all and full responsibility for self. Ensure your MultiStroke is located on a flat, stable surface. Check that the ropes are in good condition, not frayed or knotted and that they are secured properly into the paddle shaft end. Check that the seat and footrest are both located in place and securely fixed to the frame. If the footrest pull bar is to be used ensure it is in good repair and secure. Make sure that all pulleys and rollers are running freely and there are no obstructions that will prevent or restrict their movement. Before commencing activity, the paddler should be ‘warmed up’ and ‘stretched’ [see- Warm-up tab] . Ensure the settings on the Ergometer are correct and appropriate for the users size, age and / or ability. If in doubt, get a Coach to check. The MultiStroke Ergometer needs to be located in an area where enough space is present [See safe working areas in the assembly manual and further below] . Ensure that there is no possibility of any object or person being in contact with the paddler, Ergometer, paddle-shaft or ropes during operation, or that anyone nearby could be injured as a result of the Ergometer being used or in motion.. 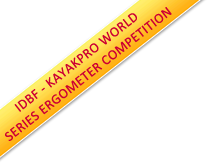 If required and recommended as an additional safety measure- KayakPro have developed a “safe working area pod” which is available and purchasable. This safe working area pod clearly defines the safe working area in both a physical and visual form. No one must be allowed to enter the safe working area whilst the Ergometer is being used. Should a number of Ergometers be used in one area, then they should be sufficiently spaced, so that no two paddle shafts are capable of colliding or that anyone trying to pass through, [between 2 machines] or get on or off another machine is affected by doing so. In order that injuries and / or accidents can be minimized, the following evaluation needs to be addressed and taken into taken into consideration prior to use, by both coaches and / or the user. Advice given or taken for controlling the risk? On-lookers must stay clear and out of the ‘no go’ [safe working] area and from the immediate vicinity of Ergometer. Users must use appropriate shaft length and appropriate resistance for the paddler / user? Instruction should be given by a coach or responsible overseer or caution taken by the paddler / user, so as not to over exert themselves. Lifting and handling advice and training given when moving the Ergometer. Caution with regard to over extending the exercise intensity or exercise duration and should be used- especially when not familiar with the Ergometer. 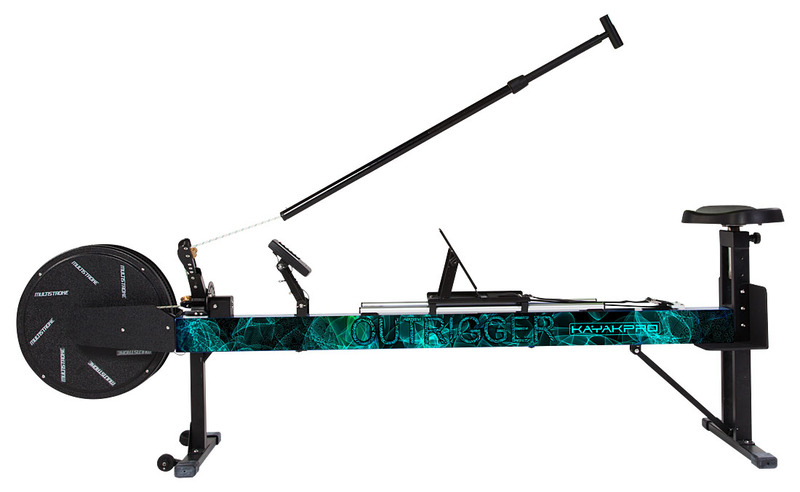 Skin abrasions / blisters may occur – especially when new to the Ergometer. If these occur consult your physician or healthcare professional. All to Ensure floors are suitable, to located the Ergometer. If footwear is to be worn ensure it is suitable and adequate. Ensure that there are no items of equipment lying around- that could lead to a trip. Ensure other training activities are kept at a distance. Users to ensure all adjustments, nuts and bolts are secure and functional prior to exercise.